Former Special Envoy in the Ministry of Foreign Affairs, Federal Government of Saint Christopher (St. Kitts) and Nevis representing the interest of the Federation in Trade, Industry, Tourism and Economic Development. Kirtley also has an extensive background in the banking and financial service industry. He has combined his financial academics and training with his legal academics and training to much success. He has in the past served as special consultant to both local and regional banks; and on the board of several local companies. He has assisted many local companies in a variety of industries from concept stage to full operations. These include construction, project development, media, financial services, engineering, hotel, marina, gaming (both land and internet). Kirtley’s special talent was recognized by the Federal Government of St. Kitts and Nevis when he was appointed to be a Special Envoy in the Ministry of Foreign Affairs, Federal Government of Saint Christopher (St. Kitts) and Nevis representing the interest of the Federation in Trade, Industry, Tourism and Economic Development. 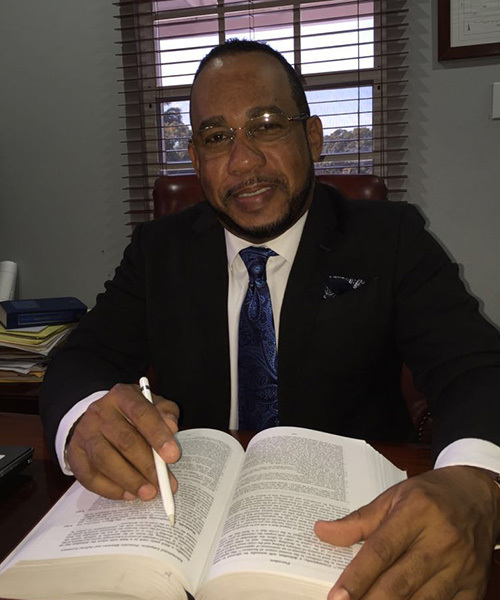 During his tenure as a full Diplomatic Ambassador of St. Kitts and Nevis, Kirtley advised many persons and companies on the tremendous benefits of investing St. Kitts and Nevis especially with the Citizenship by Investment projects. Kirtley loves to travel and experience new cultures. He is also a student of world politics. He is an avid sports fan with his favorite sports being golf, football, cricket, Formula One and American Football.